(Efficacy of Low Level Laser Therapy versusUltrasonic in Carpal Tunnel Syndrome for Diabetics). (Efficacy of Kinesio Taping in the Treatment of Diabetic Frozen Shoulder). Member in the Military Medical Academy. Member in the Egyptian Sports Injuries Association. Member in the Egyptian Physical Therapy Syndicate. Member in the Committee of pre-entry soldiers screening. Member in the Egyptian Association for Disability and Fitness. Member in the Egyptian Veterans and War Victims Association. 2007 Orthopedic Physical Therapy for the Extremities course. 2007 Orofacial pain and Tempo-mandibular disorders course. 2008 Theory and practical training of Medical Tape course. 2008 Upper and Lower Extremity Taping Techniques for the Physical Therapist course. 2009 Lymph drainage massage course. 2009 Manual therapy for cervical disorders course. 2009 Reflective respiratory therapy technique (RAT) course. 2010 Proprioceptive neuromuscular facilitation course. 2010 Manual therapy for lumbar spine course. 2014 first year of International Academy of Osteopathy (DO Program). 2015 2nd year of International Academy of Osteopathy (DO Program). 3rd year Diploma of Osteopathy (IAO). Attendance of 10th Annual Conference of GOTHI- December 2005. Attendance of fourth national conference of human performance in health & disability. Attendance of sixth national conference of human performance in health & disability. Attendance of the first conference of Orthotics, Prosthesis technology and disabilities. Participation to the 6th national conference of alternative treatment 1999. Attendance of the 2ed scientific conference of Arab confederation for physical therapy. Attendance of the first international Symposium of physical therapy. Attendance of 5th international conference of scientific research and its application, Cairo university2009. Attendance of the 1st scientific international congress of the society of Arab faculties and institutes of physical therapy2009. Attendance of the 1st international forum for scientific research 2010. Attendance in the scientific congress of the department of physical therapy for disturbance of growth and development in children and its surgery 2010. Attendance of the 12th international scientific conference, faculty of physical therapy under the title of physical therapy approach for modernization and development. Attendance of 13th international congress of faculty of physical therapy-under the title of ”physical therapy between scientific distinction and therapeutic novelty 2010. Attendance of the 1st annual conference of Resala Center for Special Needs “The Future of Pediatric Rehabilitation” at Al AZHAR Conference Center April 2013. Attendance of the fourteenth International Scientific Conference, Faculty of Physical Therapy, Cairo University “Physical Therapy The Future of Treatment” April 2013. Participate in the Global Biotechnology Congressin Boston,USA 2013. Workshop in musculoskeletal disorders assessment and management. Workshop in Evaluation of reference for students. Workshop basics of orthopedic manual therapy. Workshop in The quality of learning opportunities. Work shop in Physical therapy diagnosis, management and prevention of disorders of the musculoskeletal system. Workshop in The integration of disabled people in education and work to reach the development. Workshop in sport specific injury rehabilitation. Workshop in the title of” Towards a better integrated care for the elderly”. Workshop in the systemic theoretical and practical examination. Workshop, under title: EMG for cervical dysfunctions. Workshop, under title: Introduction to Motion Analysis. Workshop, under title: electro-diagnosis in physical therapy. Workshop, under title: of Aquapuncture and laser-puncture in musculoskeletal pain and dysfunction. Instructor in the Military Medical Academy. Instructor and Coordinator for Orthopedic Physical Therapy courses in El-Helmia Physical Med and Rehab Center for Armed Forces. Coordinator for Isokinetic Lab in El-Helmia Physical Med and Rehab Center for Armed Forces. External examiner in the Military Medical Academy for orthopedic disorders department. Successfully passed “Institutional TOEFL” (2004). Office user course in Military Institute for Computer Science (2000). Participated in the management of outpatient for orthopedic disorders in military patients. Contribute in management and rehabilitation for in-patient cases in the departments of Neurological conditions. Assessment and sitting the program of rehabilitation for sports injury . Assessment and management of Geriatric patients. Participate in the activities of the Military Hospital in the first aid Program and how to transfer accidental patients. Vice of the physical Therapy Department for orthopedic disorders. Supervisor for spinal deformity assessment lab. Coordinator for equipment and other medical preparation. Coordinator of the German physiotherapist expertise courses and workshops. Lab Instructor for Orthopedic Physical Therapy of Spine and Extremities. Prepared a lot of courses for nursing staff to allow them how to work as a Rehabilitation Nurses. Chairman of Isokinetic lab for armed sports teams. Vice of Sport Medicine Department. Sitting the program of training for Kinesio tape under supervision of Expert from Netherland Mr. Harry Pijnappel . Jan 2008 to July 2008: Matrouh Armed Forces Hospital. Head of Physical Medicine and Rehabilitation Department. Head of the sports injury department. Head Officer of the physiotherapy department for musculoskeletal and traumatic disorders. Lab instructor for motion analysis. Director of Accreditation and Quality Assurance Unit. Consultant of physical therapy for National Handball team. 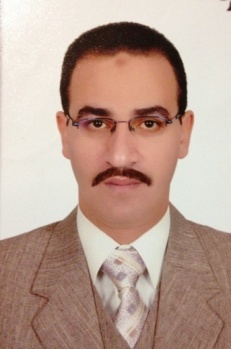 Head of the Physical Therapy and Rehabilitation Department in Wadi EL-Neel Hospital. Organizing the first annual conference of Physical Therapy In Wadi El Nile Hospital. Change the routine concept of physical therapy as a general PT into specific PT for each medical department. Sharing in the developmental plan for physical therapy department for next 5 years. Organize a lot of scientific days between PT department and other medical departments to clarify the roll of PT in the management of different cases.